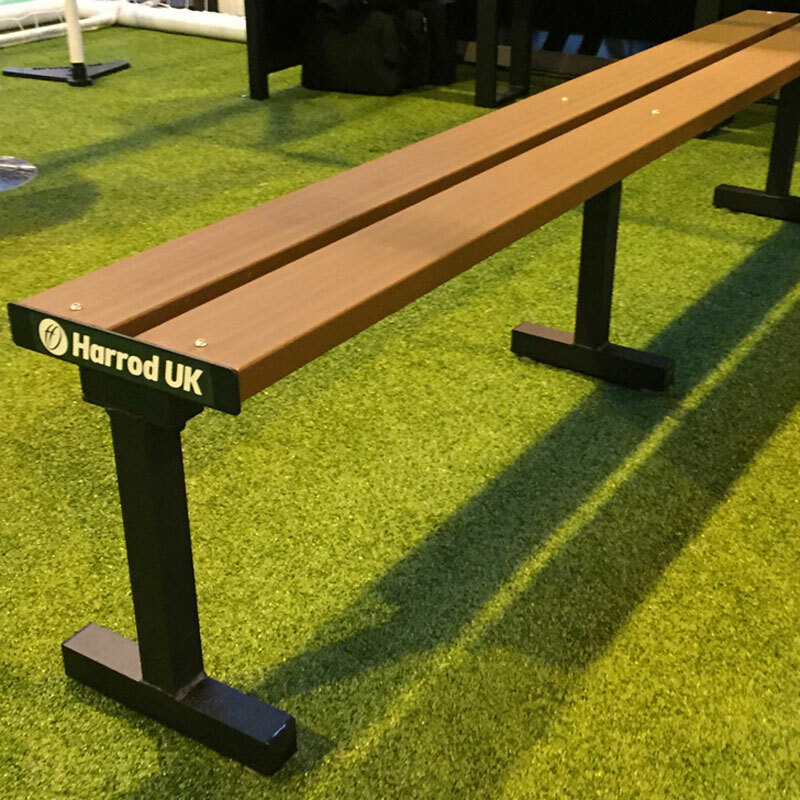 New to the range the Harrod Sport ® Freestanding Team Bench is suitable for use on a variety of surfaces including artificial pitches, grass pitches and tennis courts. Seating composed of standard brown PVC slats. 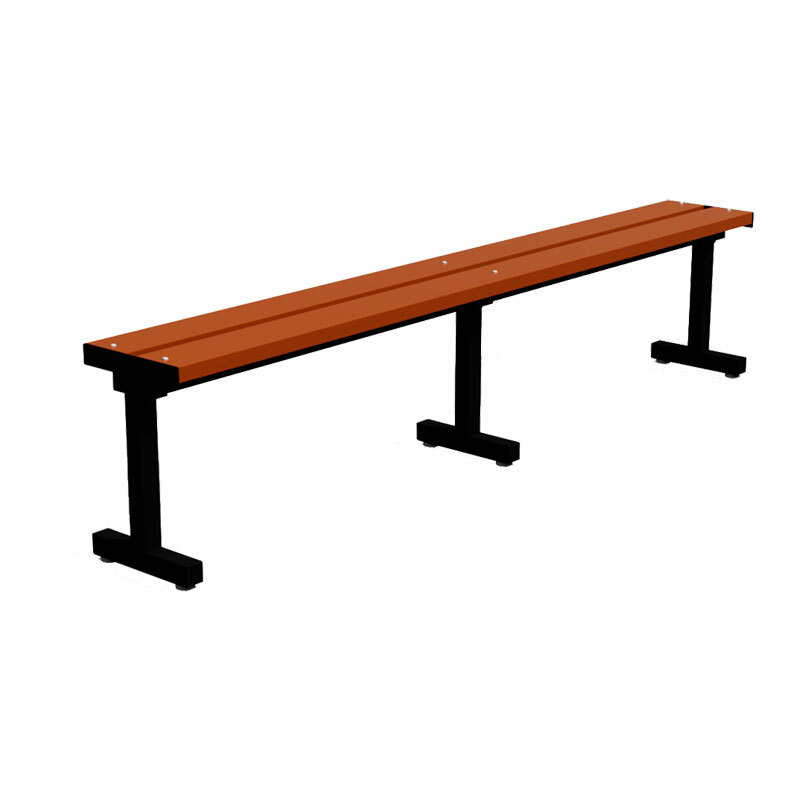 Bench will be supplied fully assembled (fittings included). Frame manufactured from 50.8mm Aluminium box section. Aluminium end plates provide an aesthetic finish covering exposed slats.